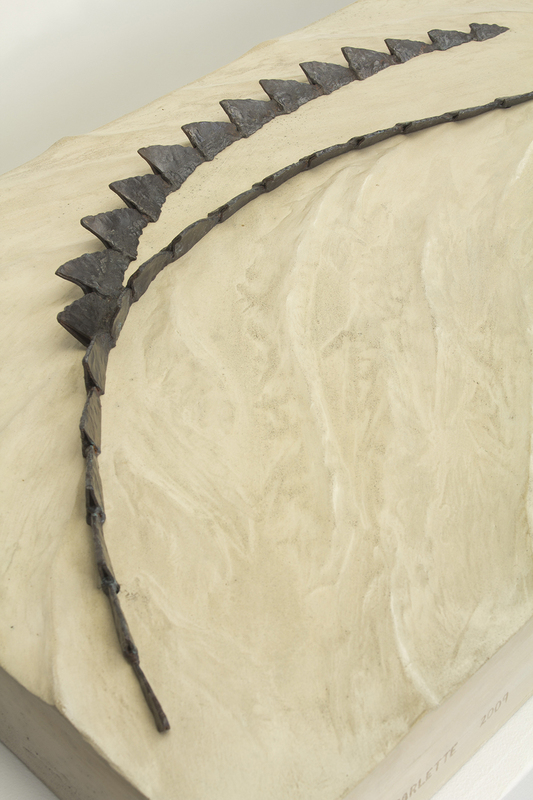 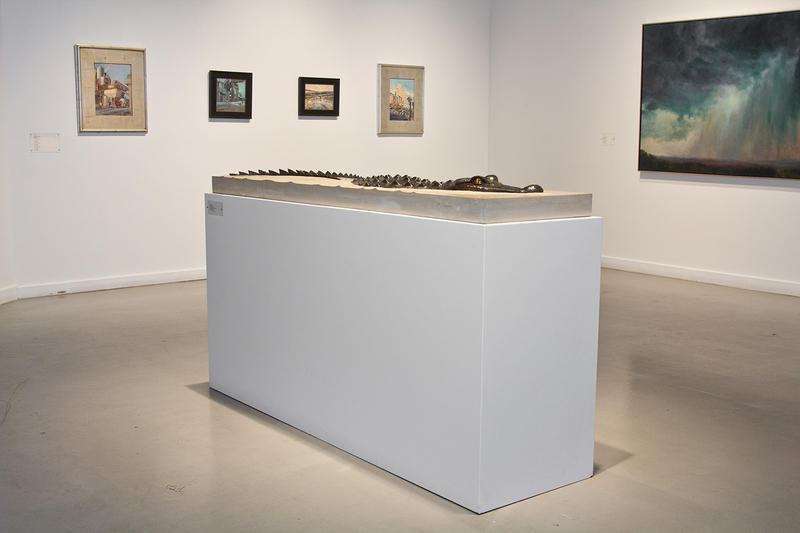 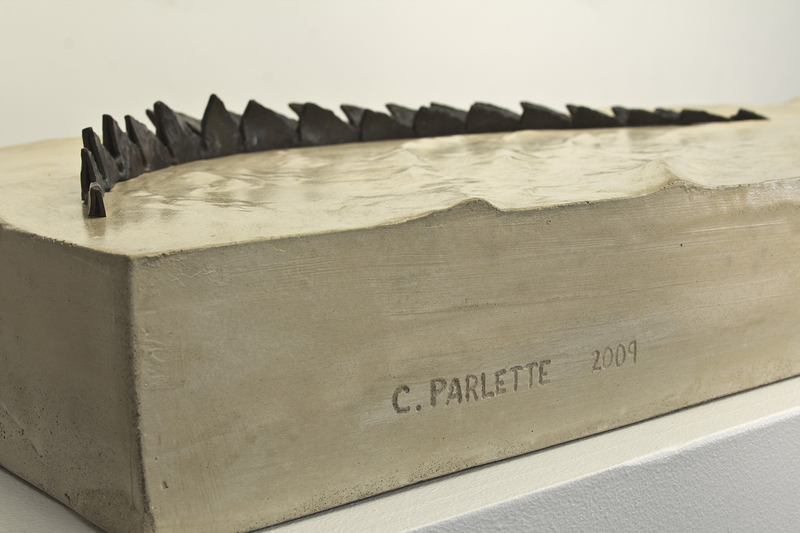 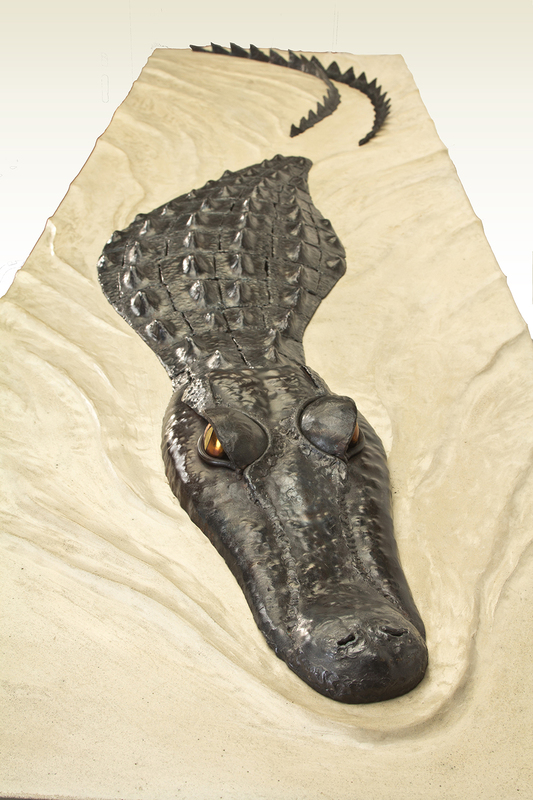 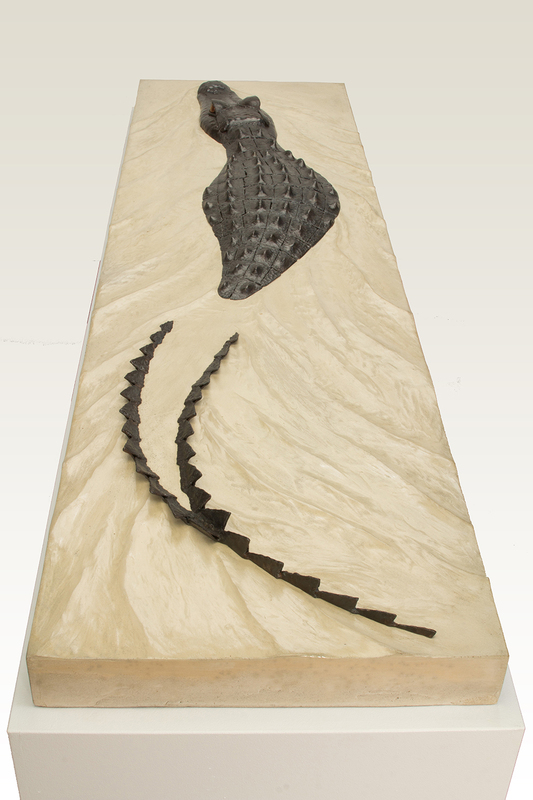 Each piece of the alligator sculpture was hand forged out of steel and welded together to give it the primordial look that alligators have. 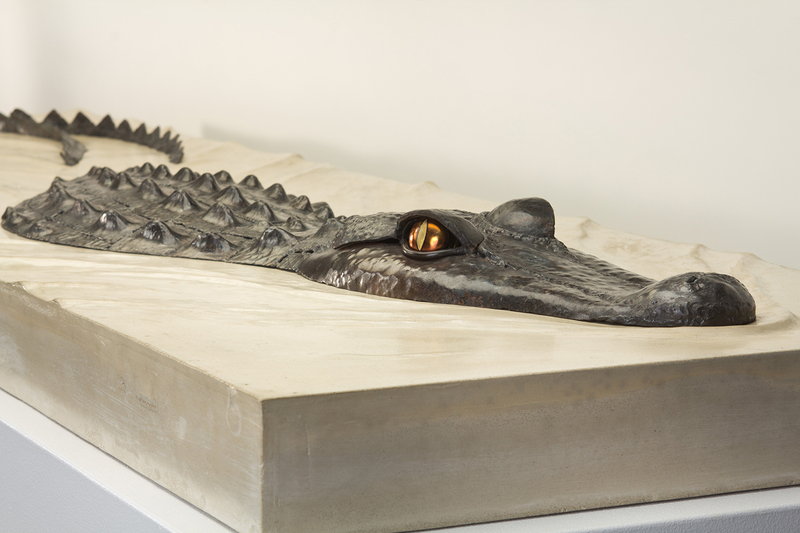 The eyes are made of polished brass, and the base is concrete with the ripples sculpted in to give the feel of the creature swimming through water. 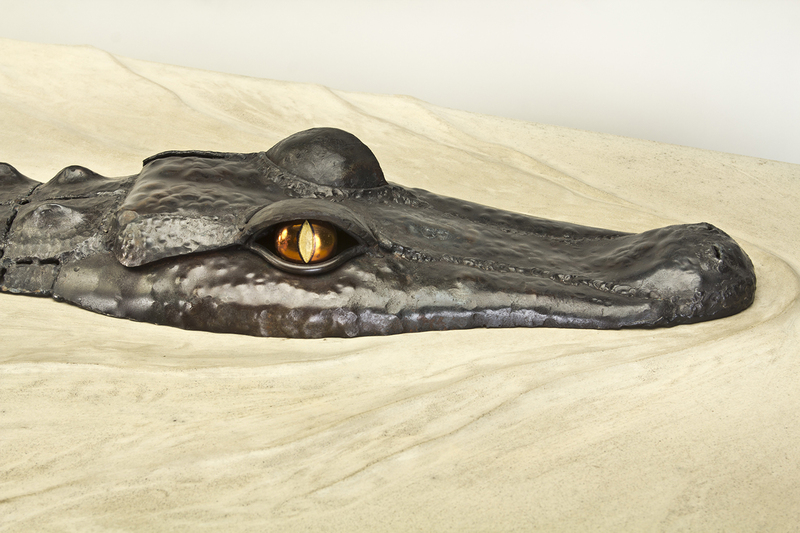 In the wild, when all you see is the head and top of the back of this stealthy predator, you know you’re in trouble.